I can't believe I've been selected to be part of the Homeward Bound initiative - joining 95 women from around the globe, on a leadership training program to Antarctica! Anyone I've ever met knows I love animals - Tasmanian devils, whales, dogs - and would do anything to protect them. So when I realised the threat climate change is having on the animals, people and places I love, I knew I had to do something. I will use this opportunity to educate and inspire people to act on climate change, and grow my skills and networks for change - but I need your help to get there. I'm originally from New Zealand, and for the past 20 years have been a passionate wildlife conservationist and environmental educator at the Tasmania Parks and Wildlife Service. 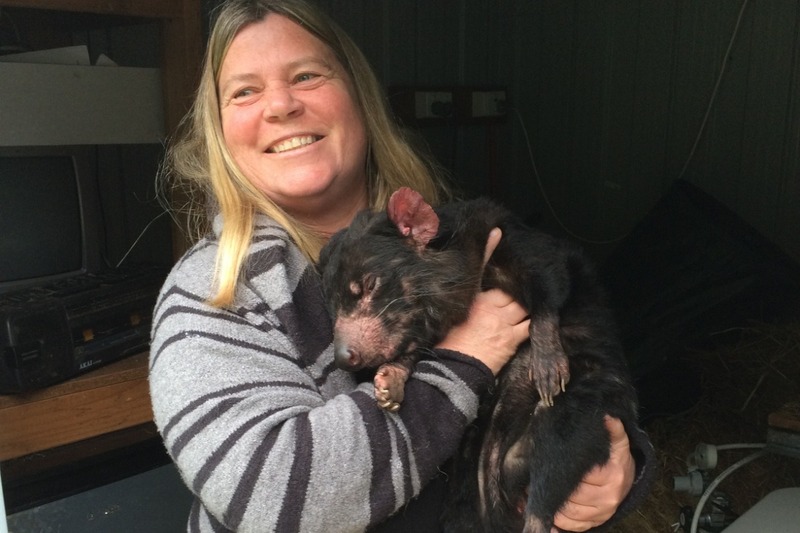 This has included - breeding Tasmanian devils for a decade as part of the insurance-population of the Save the Tasmanian Devil Program. Training thousands of volunteers in best-practice Whale Rescue techniques, to help save whales at strandings. Playing a key role wildlife conservation and environmental education programs including raising orphaned wildlife, Fox-Free Tasmania, Wilds'Cools, Maria Island School Camps, threatened species and Discovery Ranger Program. I spend my spare time inspiring others to act on climate change. 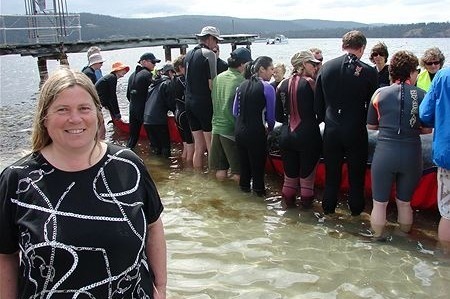 I'm proud to have recently set up the Tasmanian Climate Change Stories program because I believe that sharing firsthand stories will help others connect, understand and act both locally and globally on this important issue. I am a proud mother of three fully-fledged daughters, and live with my husband Bill and our dogs which I breed through Grausturm Weimaraners. In building a global network of 1000 women in science, Homeward Bound aims to raise awareness about two pressing issues: gender equity and climate change. It turns out that the two are closely linked. Given women's recognised ability to collaborate, hold a legacy mindset and care for shared resources, it's crucial to have women at the leadership table in all areas of climate science, policy, mitigation and education. I love the line they use: at this critical moment in time for our planet, Mother Nature needs her daughters. Over 11 months I will get world-class leadership training with a cohort of 95 women, build my skills, confidence and networks, and grow my capacity to lead change on the issue of climate change. You can find out more about Homeward Bound and the women I'll be participating in the program with here. I have been selected for a 12 month leadership initiative working with 95 other women from around the world. Every month I commit 25-30 hours of my personal time for this developement. 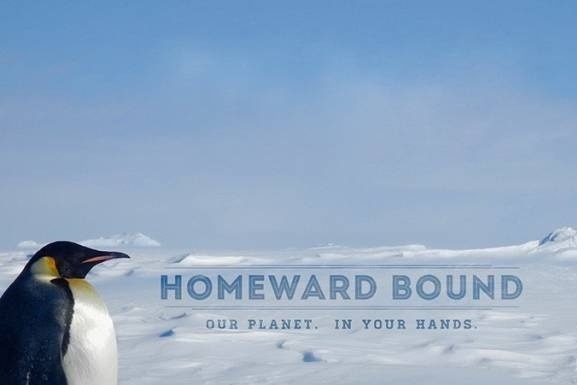 To be part of the Homeward Bound program and get to Antarctica will cost $43,000. With in-kind contributions, the amount left for me to cover is $23,000 plus $5000 in airfares. I plan to self-fund $10,000, so I'm looking to the support of my friends, family and networks to help raise the final $18,000. This will cover everything from leadership training, travel to Argentina, chartering the ship, insurance and equipment. You can visit this link for a detailed budget break-down. Thank you for helping me get to Antarctica and to join a global network of women advocating for a safe climate future. Help me set sail to Antarctica on a leadership journey for women in science—a global collaboration to create a future where the animals, places and people we love are protected from climate change. I can come to your school, event or workplace and deliver an interactive and informative presentation on one of these topics which you can choose: Women in Leadership, How to Rescue Whales, Climate Change Stories from around the world, Protecting Tassie Devils and marsupials, Caring for Wildlife and the Journey to Antarctica. Send me a photo of you or your brand, and I will take it on my Antarctic adventure, and send you a photo of your picture in Antarctica to prove it - possibly with a group of penguins! Thank you for your support - I will send you one of my favourite snaps from Antarctica, with a personalised message from my adventure. I'll blow it up to size A4 for your wall or fridge, and send you a digital copy as well, if you want. I really appreciate your support - as a token of my thanks, I will send you a card from my journey to Antarctica.